Instate at 10:00am until Mass begins. When reflecting on the life of Phyllis Munzenberger, words such as kindhearted, gracious, and genuine come to mind, but perhaps the word that paints the most vivid picture of her is the word selfless. 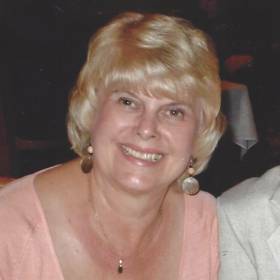 She was outgoing, warm, and genuine, and as a longtime resident of her community everyone knew Phyllis. She and her husband exemplified what marriage is truly intended to be as they were soul mates, true companions, and best friends. Second only to the love she had for her husband was the deep adoration she felt for her family, and it was easy to see that Phyllis viewed being a mother and grandmother to be her greatest blessing. Although she was taken from her loved ones too soon, she leaves behind a priceless collection of memories that they will forever hold near and dear to their hearts. During the first half of the 1940s, the eyes of our nation were focused overseas as countless young servicemen and women were deeply entrenched in the fight for the freedoms that we still enjoy today as WWII raged on. 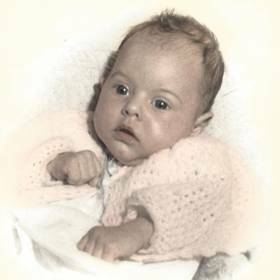 It was just prior to the end of the war in 1945 that Henry and Cecilia Dembski were eagerly awaiting the birth of their new baby as August appeared in 1945. The big day finally arrived with the baby girl they named Phyllis Ann drew her first breath on August 18th. She was the oldest of five children in her family as she was raised alongside her siblings, Nancy, Maureen, Alan, and Denise. To support his family, her father worked at Detroit Diesel while her mother focused her time and attention on caring for Phyllis and her siblings as well as their home. In many ways Phyllis was a young girl of her generation. She was often playing outside for hours on end as there were plenty of neighborhood kids around. Hop scotch and kick the can were among their favorite games to play, although anything would do. At times Phyllis also helped her mother with all of her younger sisters and brother, instilling the nurturing spirit that she was known for throughout her life. She attended St. Christopher’s Elementary until the eighth grade, and then she went on to Rosary High in Detroit. As a teen she loved dancing with her friends, and she was also the very proud owner of her own powder blue Mercury comet. 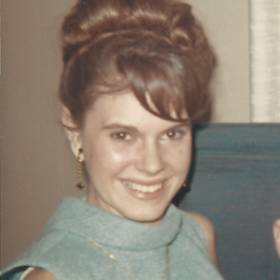 Phyllis started working as a dental assistant for Dr. Kelly when she was 16, and she went on to graduate from high school in 1963. Not to be forgotten during her years as a strong and independent young woman was Phyllis’ introduction to the love of her life. His name was Paul Munzenberger, and they met at a St. Christopher sock hop when she was just a young girl of 16. Since he didn’t have a car, it was Phyllis who did the driving when they went out. Love blossomed, and with a desire to spend the rest of their lives together Phyllis and Paul were married at St. Christopher’s Church on August 23, 1968. It was an incredibly hot day, and since the hall did not turn on the air conditioning until the guests came her dad was not happy. The newlyweds then enjoyed a honeymoon at the Park Place hotel in Traverse City. Together they welcomed two children, Thomas and Carolyn, into their hearts and home. Although Phyllis was deeply devoted to her children, her marriage of 48 years always came first. She loved him more each day, and her rule was to never go to bed without a kiss and an “I love you.” Phyllis and Paul were looking so forward to their 50th wedding anniversary in two years and had a cruise with their family panned in celebration. 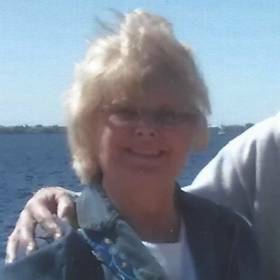 She and her husband loved going on all kinds of cruises together. Over the years they went on 11 of them with their most recent cruise being a 10 day Mediterranean cruise, which was her first time in Europe. During their later years Phyllis and Paul spent their winters at their condo in Punta Gorda, Florida. Later in life Phyllis was delighted to become a grandmother. She absolutely glowed when talking about Aaron and Sydney, and she savored every minute she spent with them. Phyllis recently took a trip to Chicago with Carolyn and Sydney when they spent the day shopping at the American Girl doll store and having tea, and they visited Shedd's Aquarium while there as well. Phyllis did enjoy keeping busy outside of the home, too. She worked for the Kelly family throughout her career, retiring as the office manager. Dr. James Kelly always joked that he worked for her and that everyone actually came to see her while the dental work was just an afterthought. Everyone always loved Phyllis, and even in the store she would usually run into someone she knew who was a patient. In addition to her work at the office, Phyllis also kept busy with other things outside of the home. 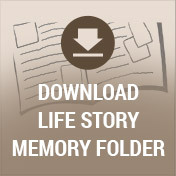 She loved taking pictures and making scrapbooks to remember her vacations and times spent with family and friends. During her time in Michigan Phyllis was a Eucharistic minister at St. John Newman Church. She enjoyed shopping whether with her daughter, her sister, or her friends, and she was always excited to see her grandchildren in their sporting or school events. While in Florida Phyllis attended her dance class bi-weekly, went out to mystery lunches with the neighbor ladies, and made regular visits to Disney World. Her final trip was with her neighbor friends to a cottage in Traverse City. There, they laughed and talked, went on wine tasting trips, and did some shopping. Described as loving, giving, and smart, Phyllis Munzenberger was truly beautiful on the inside and out. She was there for her family and friends whenever she was needed, and she could always be counted on to be the voice of reason.  Phyllis was filled with unspeakable joy to share her life with her true love, and together they experienced so many of the best things that life has to offer. Deeply loved, she will be forever missed. 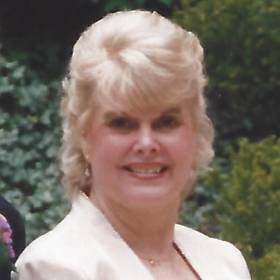 Phyllis A Munzenberger, passed away suddenly on October 19, 2016. Phyllis’ family includes her husband, Paul; chidlren, Thomas and Carolyn Goldman (Mark); and grandchildren, Aaron and Sydney. Family will receive friends Sunday 2-9 p.m. at the Neely-Turowski Life Story Funeral Home 45100 Warren Rd (between Sheldon and Canton Center Rds) with a Rosary at 7:00 p.m. A mass of Christian Burial will be held Monday at 10:30 a.m. at Resurrection Catholic Church, 48755 Warren Rd. Instate 10:00am. Interment will be at Holy Sepulchre Cemetery.